The MVNO known as Ting, and operated by Tucows announced that it was planning on bringing two Windows Phone 8 devices to its line-up. However, when you read their post about it, it seems as though they do not know much about is coming. 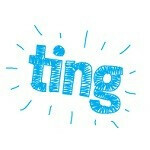 Ting will be brining an HTC device and a Samsung handset sporting Windows Phone 8 in the latter part of July. Citing the HTC by its codename, “Tiara,” the blog only expressed hopes that “Tiara” was not the final name of the device. Since Ting is a reseller of the Sprint network, we can gather immediately that the release of these two devices on Ting will coincide with some announcement by Sprint about these two devices as well. There has been conjecture that the Samsung unit might be the ATIV S which is currently available outside the US, or as an unlocked GSM/HSPA device. Ting notes that the Samsung device it will offer is LTE capable and a global device which fits the ATIV Odyssey perfectly. Seeing as how Samsung has been pretty subdued about Windows Phone activity since the release of the mid-ranged Odyssey (available on Verizon and US Cellular), some of us think that Sprint will simply be picking up the Odyssey instead of the ATIV S. As for the HTC Tiara, that device will be a step-up from the Windows Phone 8S, but perhaps half-a-step down from the Windows Phone 8X. The HTC Tiara is thought to have a 4.3-inch 480x800 display, a 1.2GHz dual-core Snapdragon CPU and 8GB of storage on board. The primary camera will be an 8MP shooter with and we expect that it would also offerBeats Audio. The rest as they say, is a mystery, even to one of the carriers that will be selling these forthcoming devices. In the meantime, Ting wants its customers’ feedback about which device they are interested in, so check out the source link to add your two-cents. It's a mistake not to have a Lumia, but maybe the HTC will be nice don't have high hopes for the Samsung though. If they are good I might have to give Ting a try!